I took the online LTC class, how do I find a local instructor for the shooting portion ? When you take our online class, you will receive information on how to access our instructor locator data base. We have instructors all across Texas in our data base that will be happy to do the range instruction/shooting portion for you. Finding an instructor in your area is easy. Who is exempt from the shooting portion of the LTC class? There are certain people who only need the classroom portion of the Texas license to carry class to get a Texas license to carry. The people listed below are exempt from the shooting portion of the class. Texas State correctional officers (CO’s) are automatically exempt from the shooting portion. Active duty military or veterans that have proof of firearms familiarization training OR shooting scores dated within the past 10 years. County jailers who have proof of firearms training as part of their employment. Can I take the Texas LTC class online? Yes. Texas law now gives you the option to take the Texas LTC class online instead of in person. You can now take the official Texas LTC class online at your own pace, from the comfort of your home. You can take our Texas LTC class online HERE. How do I change the name on my LTC? You can get the name on your license changed by mailing in form LTC 70. Download form here. What do I bring to my license to carry class ? dress appropriate for shooting. No low cut or v cut shirts and no open toe shoes. How do I submit my forms To DPS ? Choose one option. Do not do both. How do I replace a lost License ? If you loose your license, you can get a replacement license by sending in form LTC 70. Download form here. If you have any questions, you may call the handgun licensing division at: 1-512-424-7293. Do I have to be a Texas resident to get a Texas LTC ? No. Texas will issue a Texas LTC (license to carry) to anyone who has a valid drivers license or State ID issued by any one of the 50 States. It’s very easy to get a license to carry in Texas. How do I change the address on my license to carry ? You can change the address on your Texas license to carry by logging in as a returning user on the States website using this link: change my address . If you have any questions, you may call the DPS handgun licensing division at 1-512-424-7293. How much is your license to carry class ? Our license to carry class is $85 or you can take it online for $60. What is the number to the DPS handgun licensing division ? 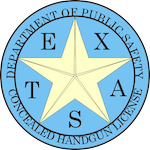 The Texas Department of Public Safety handgun licensing division is located in Austin. You may call them if you have problems with their website or to check the status of your application or for any other questions you may have. The number is 1-512-424-7293. What class do i take to get my license to carry ? You need to take our 5 to 6 hour “class length varies” license to carry class to get your Texas license to carry. You can now take the Texas LTC class ONLINE. It will qualify you to carry open or concealed. It is a one time class and all you have to do is renew online every 5 years with no additional training needed to renew. It just takes one class and you are certified for life. 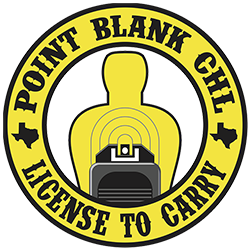 You can find info about our class on our Texas license to carry page. Do I need a license to open carry in Texas ? Yes. The Texas open carry law that passed allows a license holder the option to carry open or concealed. You can NOT carry a handgun open or concealed in Texas without a license. How do I renew my Texas license to carry ? You renew your Texas license to carry online now at this link CLICK HERE. Log in as a “returning user” and renew, if the renewal link is not there, it’s to early for you to renew your Texas license to carry. You can not renew your Texas license to carry until it’s not longer than 6 months before it expires. No class or fingerprints are needed to renew. Just renew online and pay your fee and that’s it. For questions call DPS at 1-512-424-7293. Can I take the LTC class if I am under 21 ? Yes, as long as you turn 21 within two years of the class date. You may take the class but you will have to wait until you turn 21 before submitting your online application. Active duty military at least 18 years of age can take the class, apply and recieve their license to carry at 18 years of age. How long will it take to receive my Texas license to carry ? Do I need to do anything before taking the LTC class ? No. The Texas license to carry application process is all done online now. You may submit your online application before class BUT we recommend waiting until after your class so we can go over the process with you. Do I need my own handgun to take the LTC class ? No. We have free loaner guns available for use in our Texas LTC class if needed. If you plan on using our gun in class, you will need to bring 50 rounds of 9mm ammo as all our loaner guns are 9mm. You may also use a friends gun or share a gun with a friend in class. What type of handgun do I need for the LTC class ? You can now use a revolver or a semi automatic of ANY CALIBER in your Texas LTC class and be able to carry either one you choose. You can also use a friends gun or borrow one of our free loaner class guns.